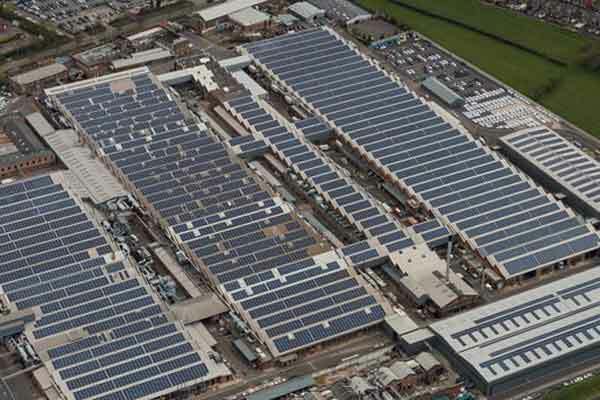 Bentley Motors has announced that construction has started on the UK’s largest ever solar-powered car port at its factory headquarters in Crewe, UK. The installation of 10,000 solar panels, which has a capacity of 2.7MW, will take approximately six months to complete, said a statement from the company. Once completed, the car port, which covers Bentley’s colleague car park, will take the company’s energy system to 30,815 solar panels. This includes the 20,815 panel roof top installation completed in 2013, it said. “This solar installation is another example of how we can make our factory more sustainable by using technological innovation. This helps us produce extraordinary cars with responsibly-sourced materials in an efficient manner, while continually striving to reduce the company’s environmental impact,” he added. The solar car port installation, which covers 1,378 car parking spaces, and an area of 16,426 sq m, will be installed and operated by FlexiSolar, the innovative solar car port specialist, it added. The project is also backed by Innovate UK, the country’s innovation agency driven to support the science and technology initiatives that will grow the UK economy.